Thanks to our 12 ha of open-air plots and 2 ha of greenhouses for cultivation, we can offer an exceptionally large and varied range of flower and plant varieties and colours. We sell exclusively to wholesalers. We ensure a high level of continuity in the range so that we can deliver in various phases. 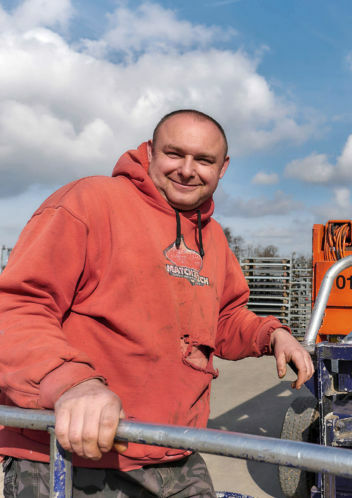 Maes-Reyns is a true and authentic family business with years of experience at its foundation. 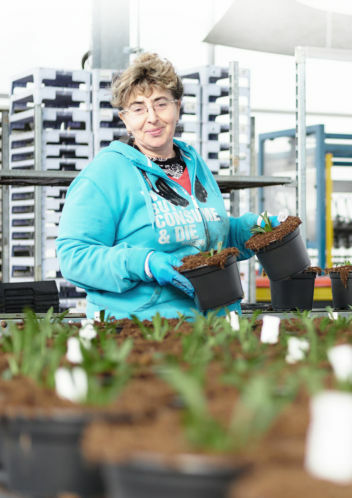 Established in 1976 and expanding from vegetable cultivation, the company’s focus over the last 25 years has been on flower and plant cultivation. 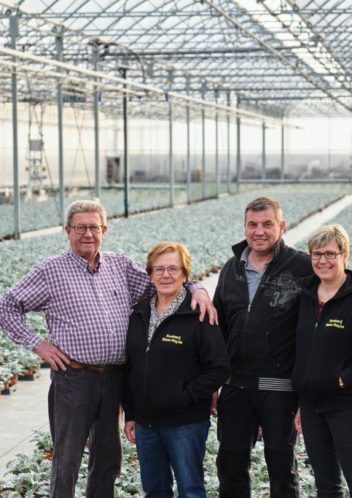 Isabelle and her husband Wim took over the nursery in 2012, upon her parents’ retirement, going on to turn it into the blossoming business that Maes-Reyns is today. However, the years have not been without hardship. The company was hit by a katabatic wind in 2014, which virtually destroyed all of their life’s work. 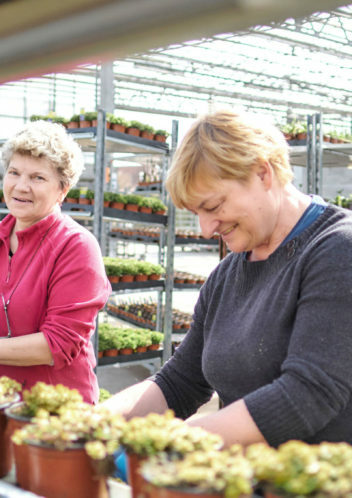 Full of courage, they constructed a new greenhouse and repaired the damage; and after years of hard labour, the company is running at full speed once again. 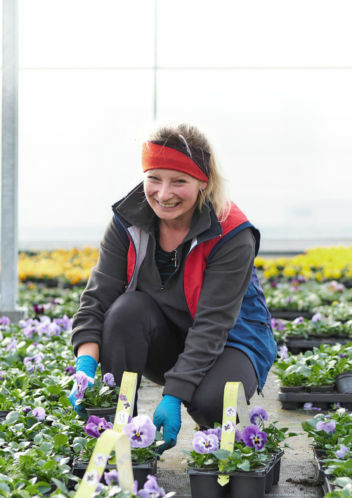 A team of 10 permanent employees and nearly that many seasonal employees put their heart and soul into their jobs every single day so that you get the very best, most beautiful plants and flowers out there. 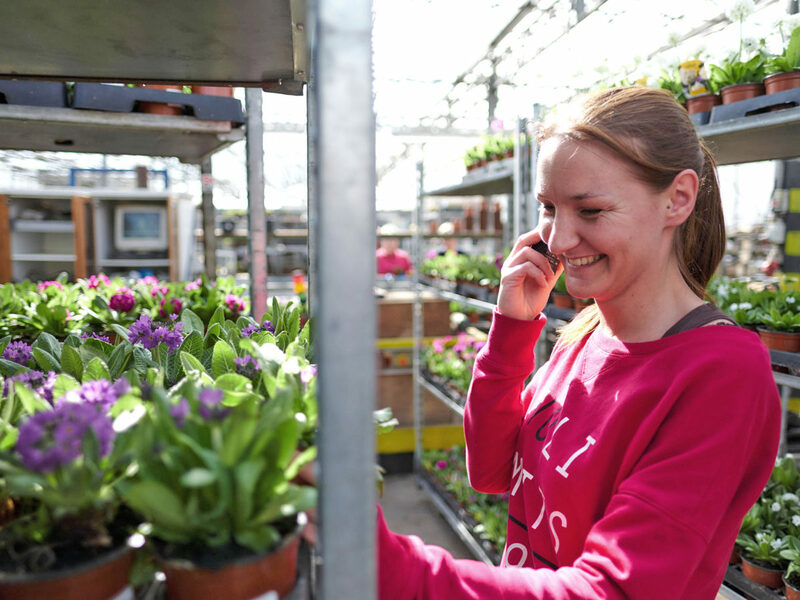 Everything from taking your order to handing over your flowers and plants is done with a smile! You are always very welcome to come see our flowers and plants in person. 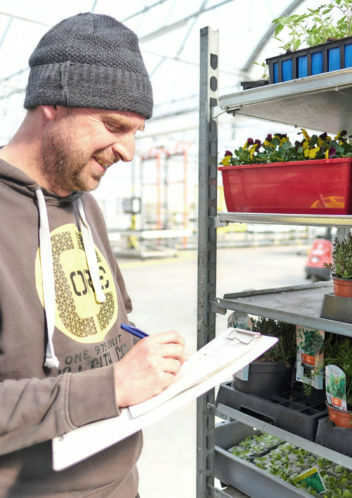 We guarantee that you will always be shown a wide range of high-quality plants, which gives you the chance to make your own choices. If you would like a tour of the company, we will be happy to make the time available for you.